Sylvain Bellenger, ”Christian Pathos,” in Sylvain Bellenger,ed. 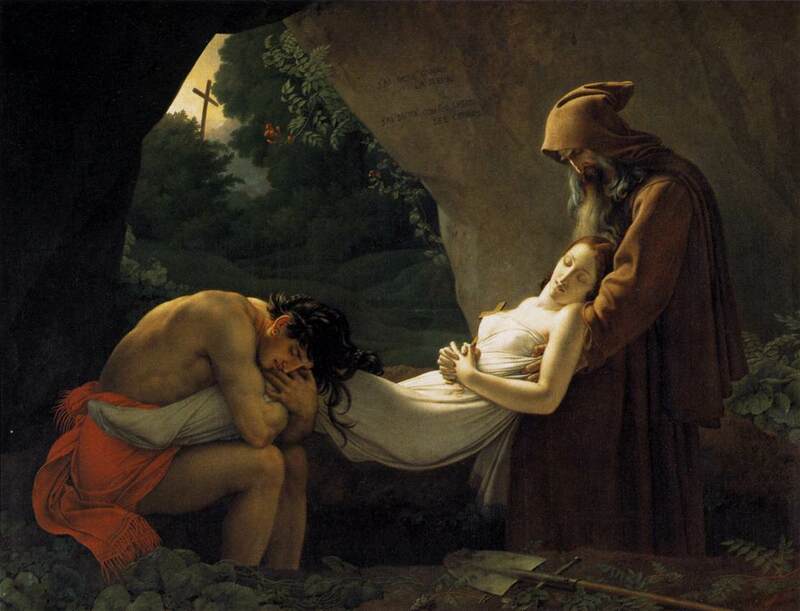 Girodet 1767-1824. Exhibition catalogue (Paris: Musée du Louvre, 2005), pp. 302-3. Friedrich Antal, “Reflections on Classicism and Romanticism-II,” The Burlington Magazine for Connoisseurs, vol. 68, no. 396 (March 1936): 138. David Wakefield, “Chateaubriand’s Atala as a Source of Inspiration in Nineteenth-Century Art,” The Burlington Magazine, vol. 120, no. 898 (January 1978): 19.